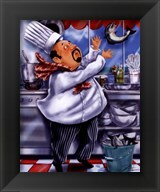 Catch Of The Day Fine-Art Print by Shari Warren at ChefDecor.com. 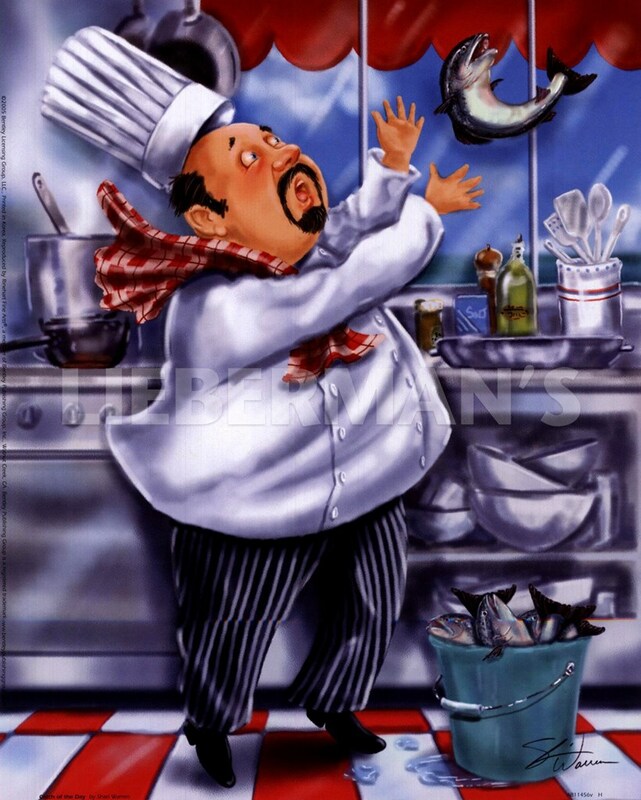 A chef loses his grip on a slippery fish in this fanciful piece of chef art by Shari Warren. A bucket full of fish sits waiting at his feet for him to begin preparing his meal. Framed Size: 10" x 12"